Trying to test Enpass "nothing to import"
Downloaded the free desktop version for PC, Win 10 Can't import either a csv or a 1pif file of 1Password data. Any help would be appreciated. Can you please let me know the 1password version and it's default language so that we can help you better. Also, how many logins can I import into the free version? Hope all the enpass people have great 2019 YEAR !!! 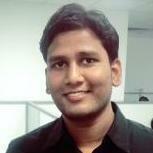 I've used 1passoword with WIndows Platform & iOS iphone till now. I felt it's time to change from 1password to enpass & I purchased iOS & Android version for it. 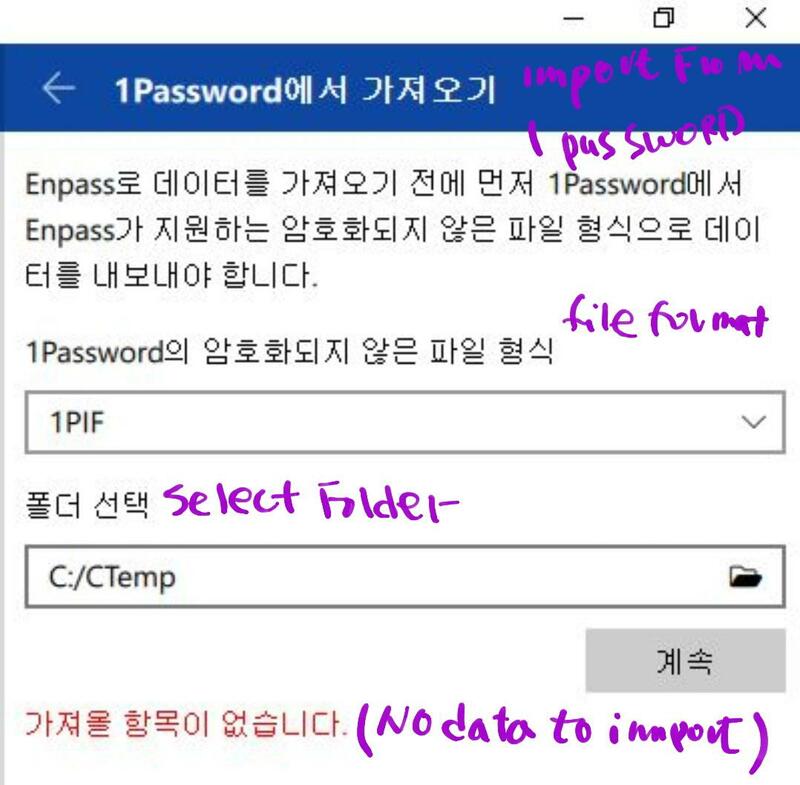 (1) With the guidance of user manual, in 1Password (in Windows PC) , I exported 1password data in 1pif format. Please understand that my translation could be slightly different from English as it's Korean version. 1. Import function only works on Premium Windows Version, not in free version ? 2. If NO, would you guide me to right way ? Same here. Also 1Password4 in English. Any hints on where to find the export function in 1Password7? I was only able to find it in 1Password4. 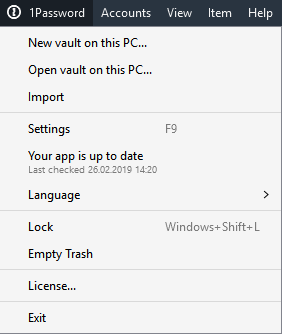 I'm currently correctly licenced in 1Password7, but there is no File menu and the 1Password menu allows for an import but not for an export. Open 1Password --> Select the items you want to export --> Select all of the items by pressing Ctrl + A.
Right-click on the selected items and choose Export.